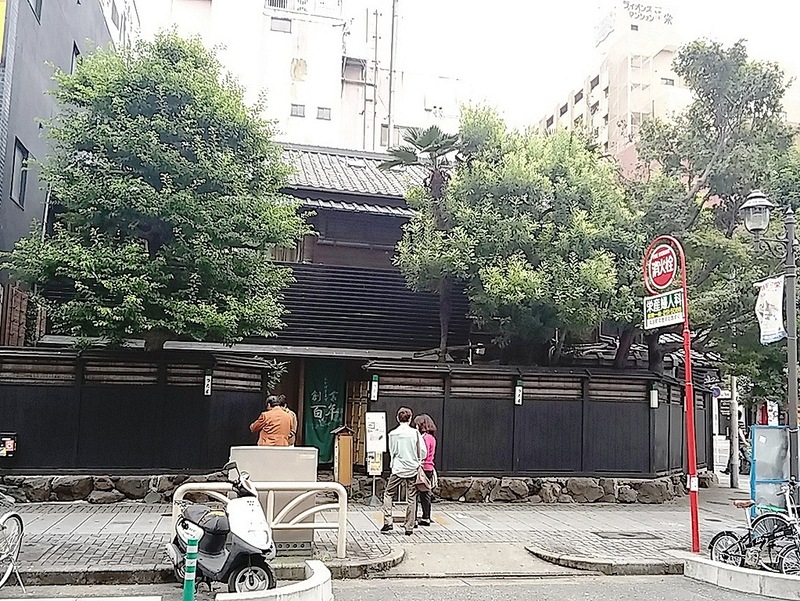 “Nowadays, eels are one of the endangered species, but there were many broiled eel restaurants around there for lumber dealers in the Edo period. 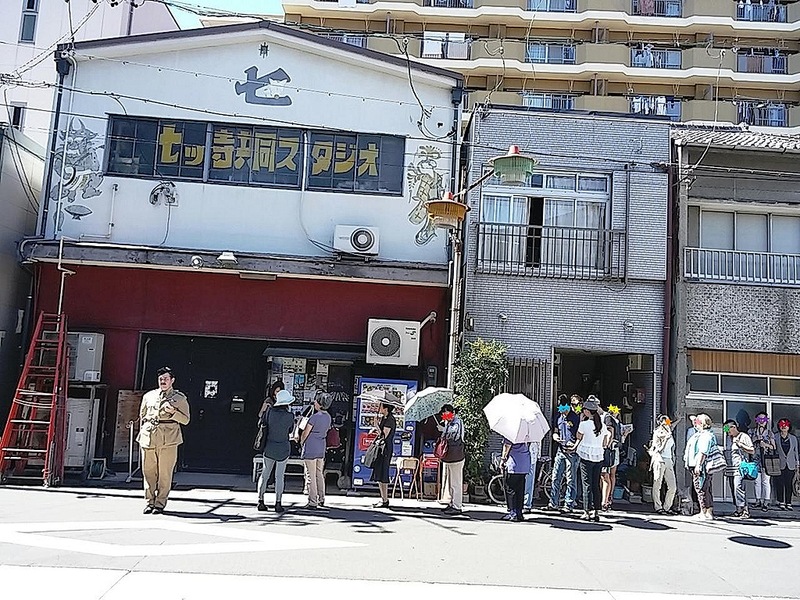 That was why the area used to be called Kabayaki-cho, which means broiled eel street. 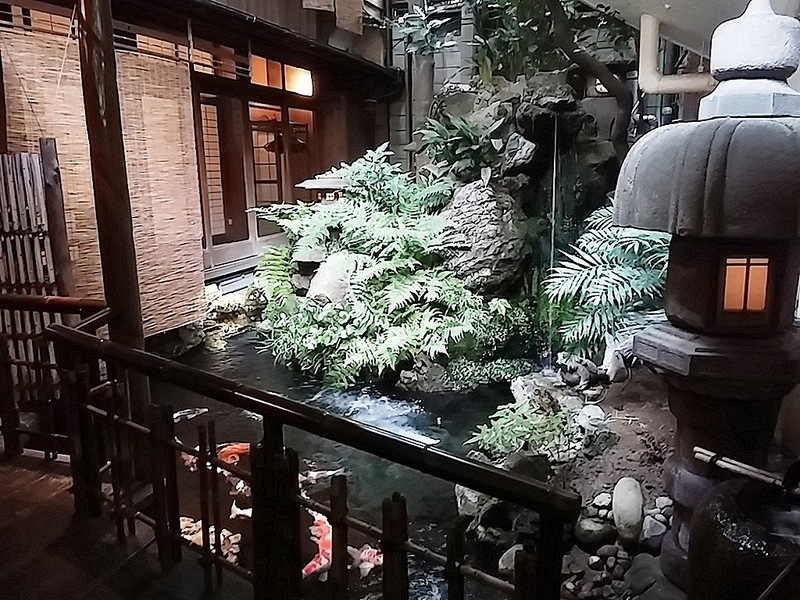 Actually, some of them seemed to serve catfish or snakehead fish instead of eels,” said Mr. Masao Fukada, the owner of a historic Japanese-style restaurant, Tsutamo, which celebrates its 100th year in business this year. 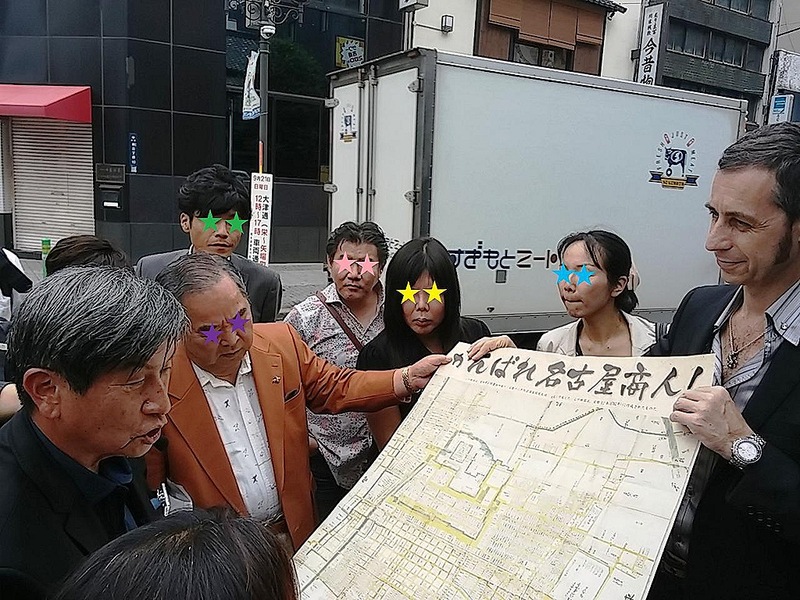 I took part in an interesting class for learning the history of Nagoya last Saturday with some of my friends. 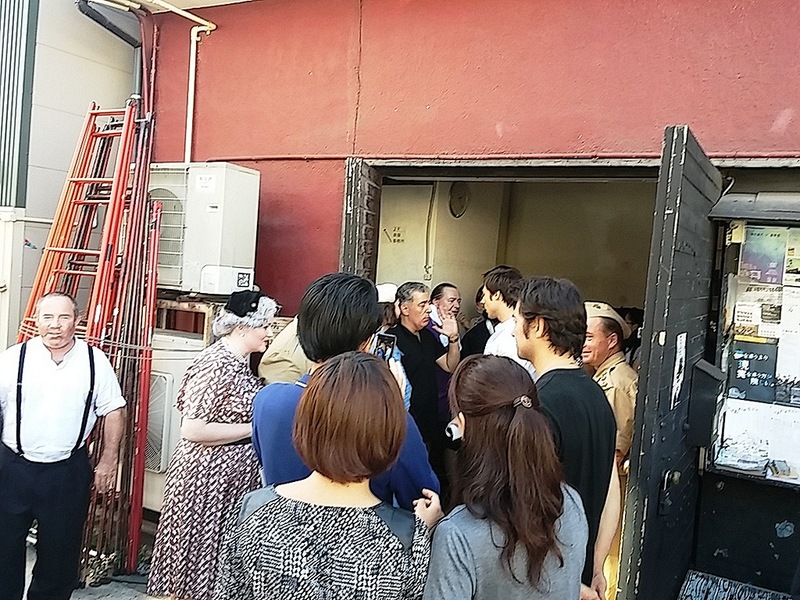 The class included the restaurant’s boxed lunch and a walking tour. 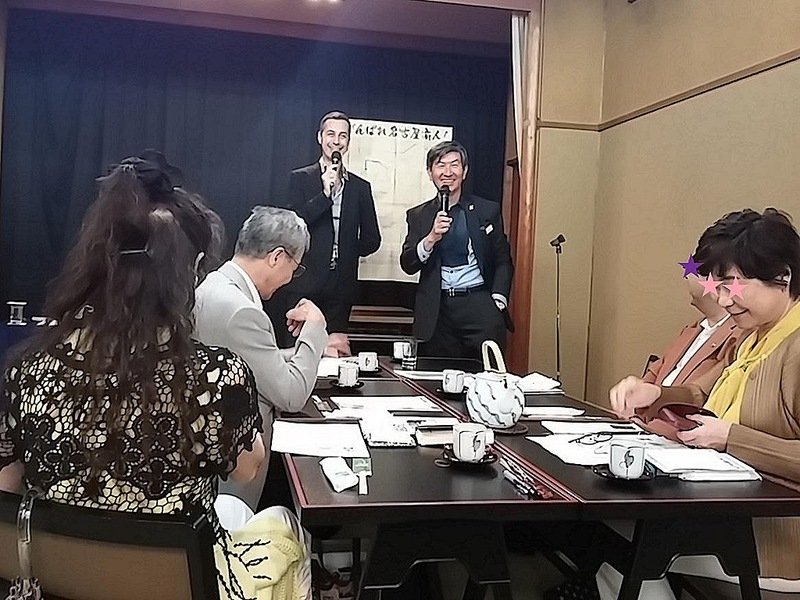 The presenter was Chris Glenn, who is a popular DJ of ZIP-FM, one of Nagoya’s local radio stations, and is the deputy director of NITA (Nagoya International Tourism Association), the organizer of the class. 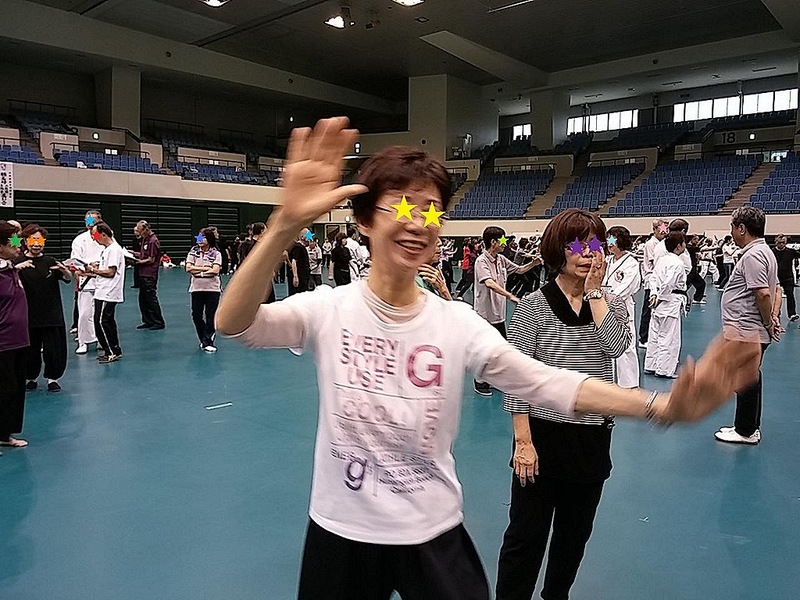 Kyoji Kikuchi, a TV personality in Nagoya, was also in the class. 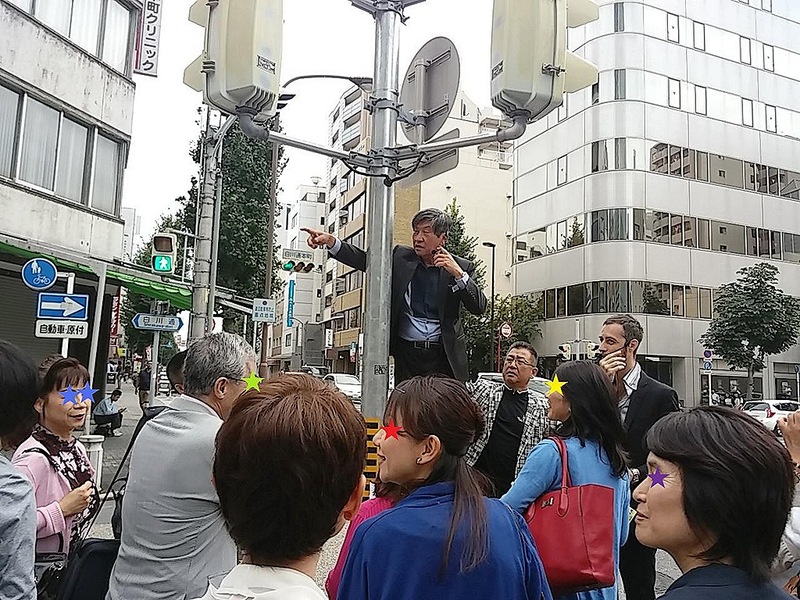 The participants learned many historical trivia about Nagoya’s downtown, Sakae, and had delicious lunch and an interesting walking tour. I had a great time! The history of Nagoya City started with the castellation of Nagoya Castle in 1612. 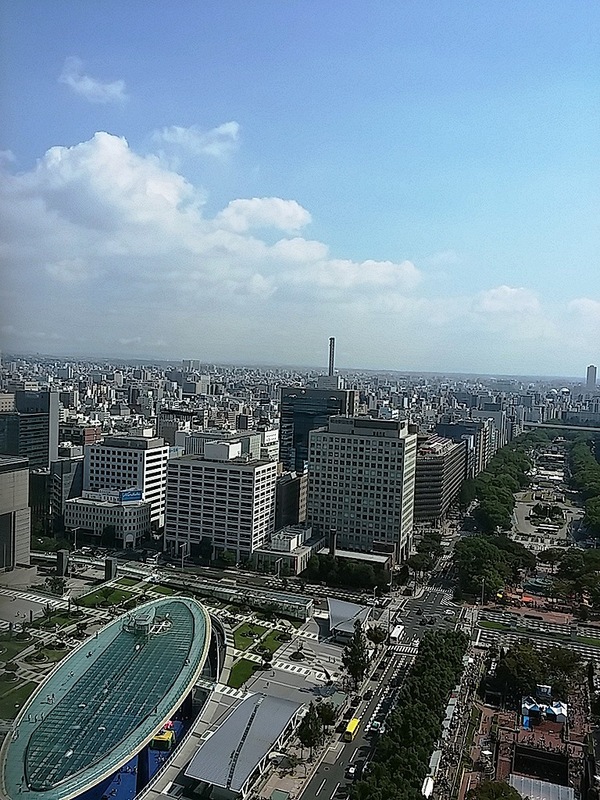 The center of this area was Kiyosu located in the north of Nagoya until then. There was a massive movement of people from Kiyosu to Nagoya to make a new town. 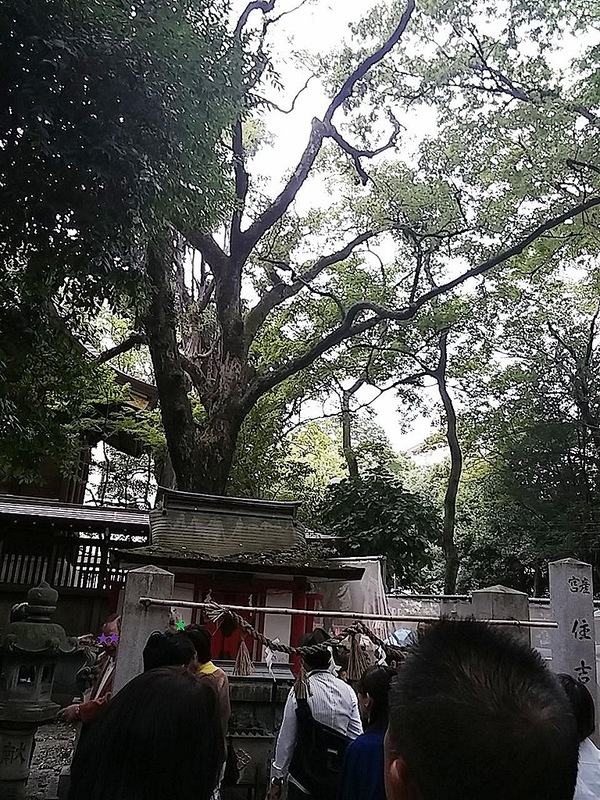 Not only people but also almost all temples and shrines were redeployed. The exodus is called Kiyosu-goshi. 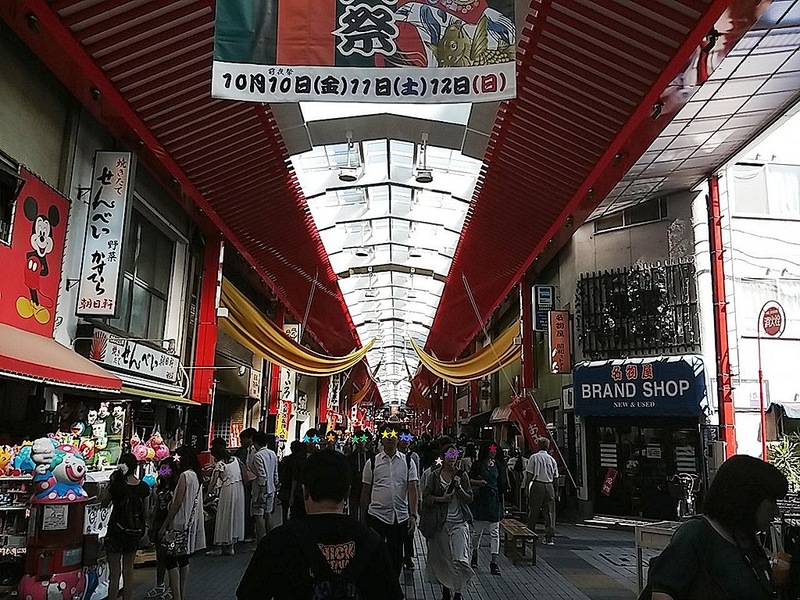 The street where Tsutamo stands became an entertainment area at that time. According to Mr. Fukada, the name of his restaurant derives from the protagonists’ names of a drama called Ippon-matsu-dohyo-iri, which is a touching-human story of (O) Tsuta, a waitress, who helps Mohei, who has been fired a sumo-wrestler. It was popular when his grandfather started business. Nagoya’s downtown was a water-rich area which was a reservoir of the Kiso River in the Edo period. There used to be a river called “The Murasaki” and many springs around there. Tsutamo still has three wells, and the water, which is always 17 degrees, is used for their ponds inside. The Murasaki River had been a fresh stream in the Edo period, but it had stagnated by the Meiji period. So, somewhere down the line, people started to call it “The Shirakawa” to wish its restoration. Shirakawa means white river literally, and its name remains still now, such as Shirakawa Koen Park. Now, why did the river have the name of the Murasaki? Murasaki means purple in Japanese. Actually, it seemed to have nothing to do with the color. 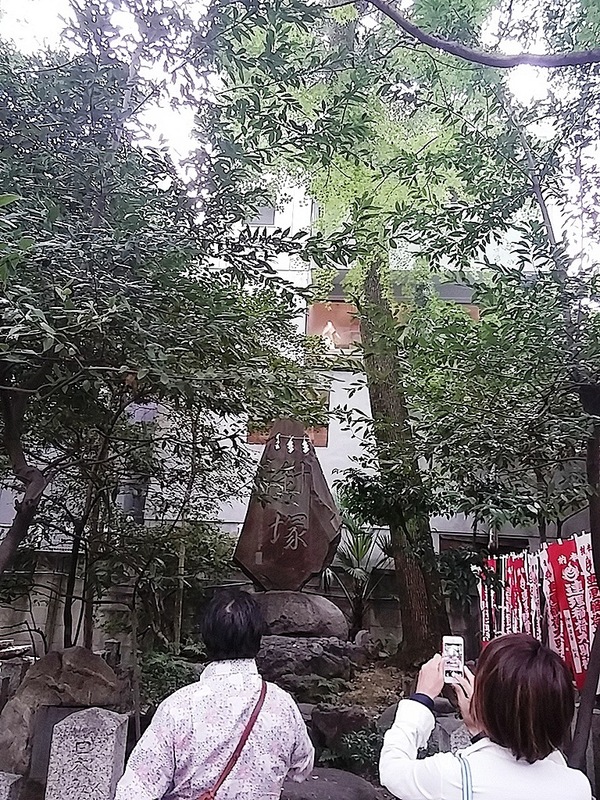 There is an apartment building near Tsutamo, but the place used to be a temple named Denko-in with a stone monument called “Murasaki Shikibu-no-hi” until the end of the war. 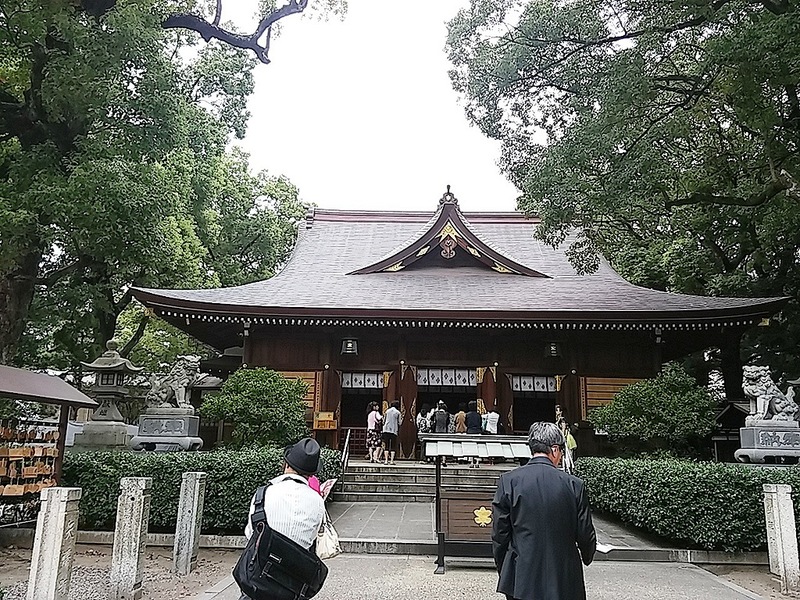 The temple was moved with the monument to Meito-ku in the east of Nagoya because of the town relocation project in the postwar period. According to a legend, the river’s name was derived from the monument. Churchill in Love: I thought it had Churchill’s bedroom scenes! The chief economist of German financial giant, Deutsche Bank, warned Scottish people about independence from the UK last Friday. I do not know whether Scottish people accepted warnings like his or not, but they finally chose to remain as part of the UK yesterday. I am wondering what the result will cause from now on, but at least it seems that we were able to avoid a world crisis. By the way, I went to see a play last Saturday about the politician who was referred to in the German economist’s warning to Scottish people. The title was Churchill in Love. Yes, the protagonist Winston Churchill was a high-flyer during the interwar period. But “in love”? 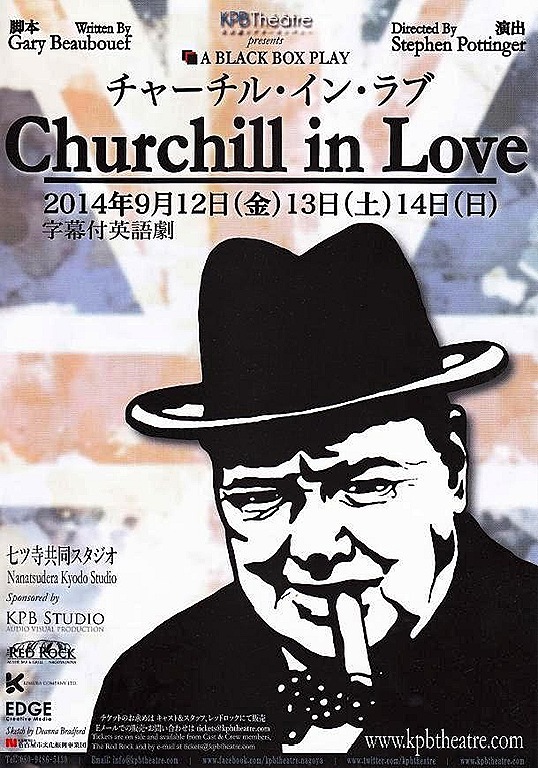 So, I asked the actor who played Churchill when I received a flyer for the play, saying “Not ‘Churchill in Nagoya’?” But he replied, “Ha ha! No, no. It’s Churchill in Love!” with a laugh, and then added, “It’ll be the first time for me to have a bedroom scene.” Whaaaaaat? Churchill in a bedroom scene? I bought a ticket on the spot. The flyer had the plot: In the summer of 1959 Sir Winston Churchill and his family boarded on the luxury yacht Christina at the invitation of Aristotle Onassis and his wife, Tina. Also invited on board the yacht was the mercurial opera diva, Maria Callas. What follows is a tempestuous cruise into the heart of deceit, desire, and disillusion as the aging Churchill and his family, seek to avoid any hint of impropriety. Love and lust wage war in this historical meditation of one man’s long love affair with his wife and another man’s descent into desperation. Hmm…What will happen on stage? I was excited as I walked to the theater, which looks more like an old warehouse than a theater. 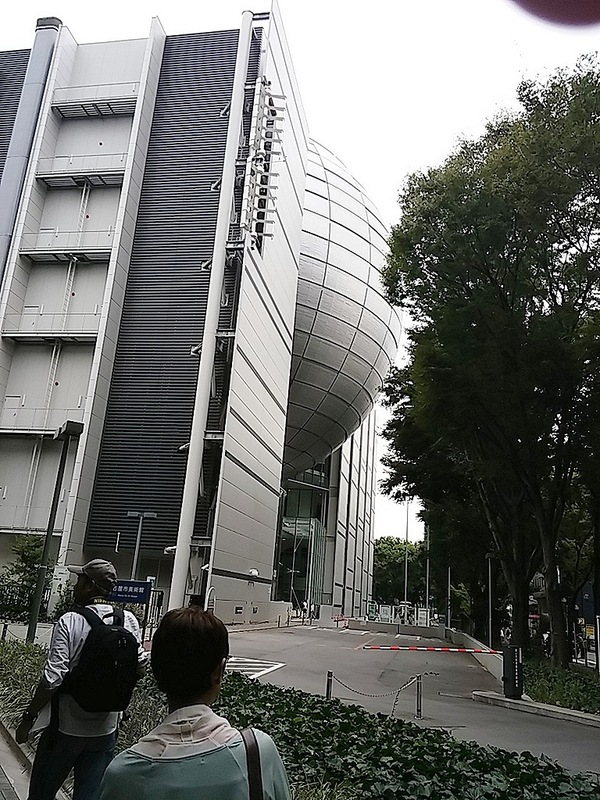 It is a 42-year-old building named Nanatsudera Kyodo Studio which is located in Osu, Nagoya. An army major was standing in front of the building when I arrived. He was the actor who was playing Major Lang. 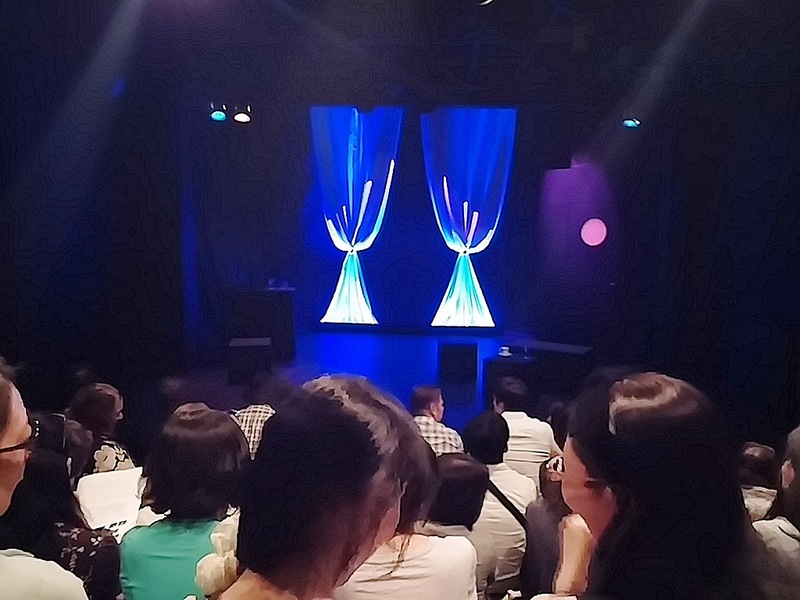 Before the curtain-up, the play had already started. In fact, he and an actress who was playing Churchill’s wife came and went between the stage and the audience seats inside to enhance the mood. Actually, there was no bedroom scene played by Churchill and his wife. Instead of them, Ari Onassis and Maria Callas played love scenes. I was relieved. You know, Churchill was in his 80s. Love has different kinds like ancient Greek identified: familiarity (storge), friendship (philia), sexual and romantic desire (eros), and divine love (agape). The play depicted that Ari and Maria did not know true love or how to love someone from the heart. But they just pursue eros, one form of love. So, they also knew about love, which was just different from Churchill’s. Anyway, the play was interesting with thrilling episodes of those historical famous characters! Gone with PB&J: It was a golden harmony! You must be American or have American friends if you know about PB&J. For the readers who do not know about it, it means peanut butter and jelly sandwiches and is one of the American staples. I am not American and have never been to the U.S, but I love them! The first time when I had PB&J was when I was taking an English class at NHK Cultural Center several years ago. My teacher made some sandwiches of peanut butter and blueberry jam for us when I visited her house with some of my classmates. She was Japanese but had experience of staying with a family in the U.S. when she was a high school student. Peanut butter and blueberry jam together? To tell the truth, I hesitated to reach out for it. I was not able to imagine what taste it would be. Anyway, I got the courage to try this new food. Hey! I was surprised when I had a bite. The rich taste of peanut butter and the flavor of lush blueberry jam filled my mouth. It was a golden harmony. I was staring at my half-eaten bread with wide-open eyes while relishing its taste. It’s delicious! I went nuts over peanut butter and jelly sandwiches right away. Since then I have sometimes bought peanut butter and made some, but had not eaten them for a while until recently. I enjoyed myself learning many things with my classmates at the course this summer. Now, look at “Lesson 6”! Yes, snack time during class?! I have had coffee with my teachers and classmates “after” class, but it was the first time for me to have coffee and snacks “during” class! Andy, the teacher from the U.S. brought many items: A bottle of coffee and of tea, a big can of cookies, and his handmade PB&J sandwiches! I also brought a bag of Reese’s Peanut Butter Cup Miniatures and of Doritos Jalapeno & Cheddar Tortilla Chips (to make my teacher homesick), but Andy’s PB&Js were the best! I had a wonderful time as if it were a picnic! There was a terrible storm outside, though. When I posted these photos on my facebook wall after the class, an American friend, Betsy left a comment: I grew up on pb & j and occasionally tuna fish sandwiches, but that was fancy. Glad you liked them. I still eat them at least once a week! Wow! Once a week! I love PB&J, but do not eat them so often! For Americans, PB&J may be something like onigiri is for Japanese people! Bitter 758 Coffee: Why don’t you try “Nagoya” coffee? It tasted strong and bitter when I sipped the coffee, just as it was intended. The coffee’s feature is its strong taste and bitterness. They insisted on making the coffee stronger and bitterer than usual ones. “We’re very proud of releasing this new coffee,” said Aiko Ito, one of the coffee company executives. Ito Coffee Shokai being established in 1951 is one of the oldest coffee beans wholesale companies in Nagoya. 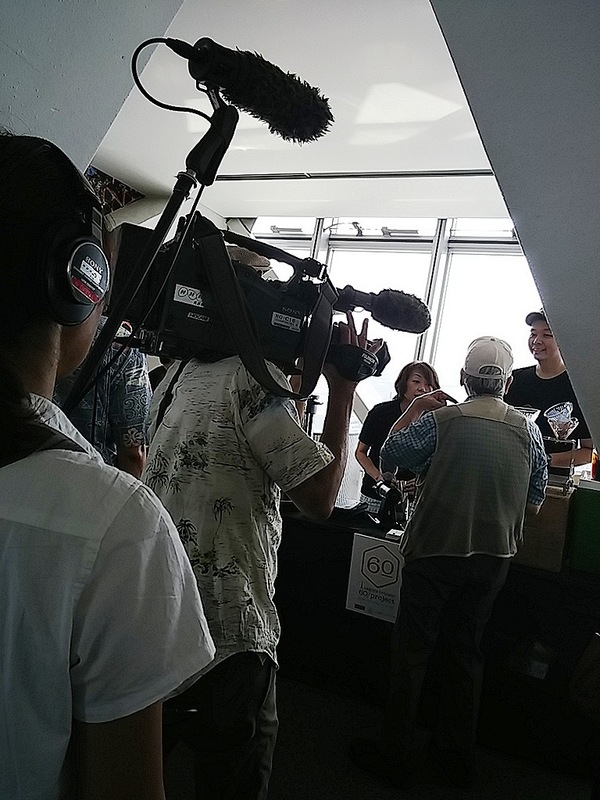 This project began with Associate Professor Ito’s approach to them to create new taste coffee to celebrate the 60th anniversary of the Nagoya TV Tower. 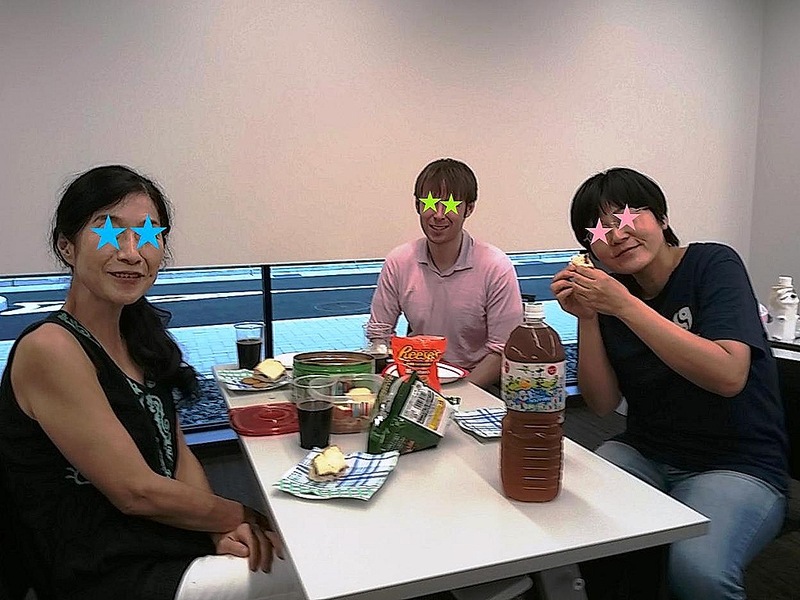 They researched Nagoya citizens’ taste with three types of coffee in July and August. As the result, about 80% of the subjects chose the bitterest one as “Nagoya taste.” Why do Nagoya’s people like bitter and strong coffee? 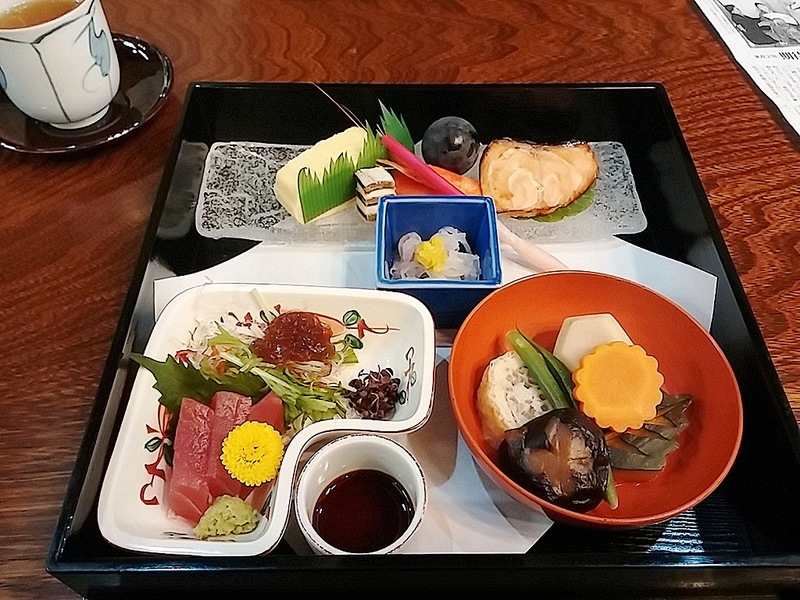 According to Mr. Toshiyuki Otake, a freelance writer who knowing well about the culture of Japan’s coffee shops, said, “People tend to like the strong taste of miso, or soy bean paste and so on, in Nagoya. Bitter coffee matches strong flavor food.” Associate Professor Ito presumed that they might feel like they had gotten their money’s worth because of the extra content that gave the extreme taste as people in the Nagoya area tend to be prudent. Hmm…They are going to sell the coffee on 30th…30th…Oh, it’s today! I realized it, and left for the Nagoya TV Tower right away. Why? You’ll get the answer when you read under this blog’s title. Yes! I love coffee! I wanted to try the new coffee as a coffee lover. 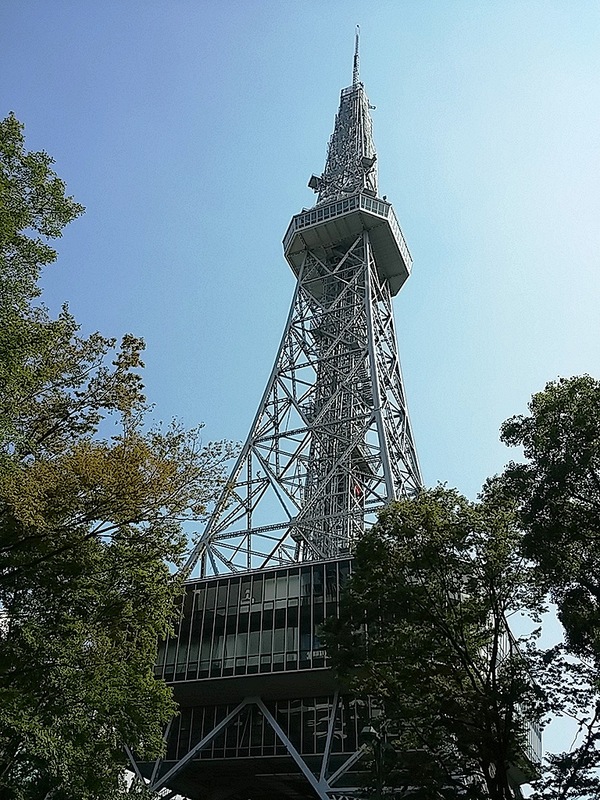 The Nagoya TV Tower finished its role as an electric wave tower in 2011, since when it has been used as a sightseeing attraction. But it is still a symbol of Nagoya. Nevertheless, I had never ascended the tower until that day…So, I thought it would be a nice opportunity to go there, too. Actually, there were two other big events in the area that day: Domatsuri and 24 Hour Television. Nippon Domannaka Festival a.k.a Domatsuri is the largest dance festival in central Japan. Many people get together for the event from all over Japan and dance and dance and dance! On the other hand, 24 Hour Television is a kind of charity program. Because of those events, it was very crowded around the tower. There was sanctuary above the hustle and bustle. 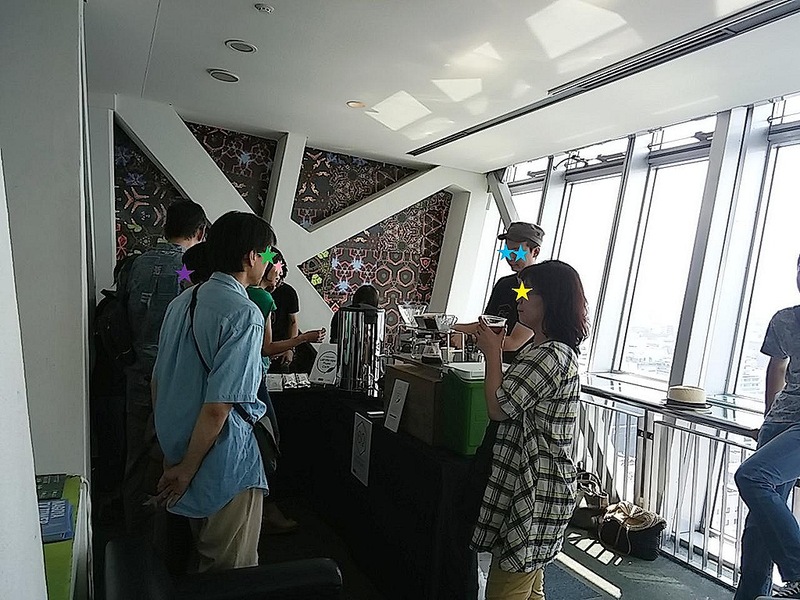 I saw many people on the top floor of the tower, but they were enjoying the scenery over coffee calmly. The view from the top was fantastic. And the Nagoya taste coffee was also nice. It was not as strong or bitter as I had imagined possibly because I am a Nagoyan, myself. By the way, the coffee’s name “758” is read “na-go-ya.” 7 can be read ‘na,’ 5, ‘go’ and 8, ‘ya’ in Japanese. It is a kind of play on words. Ito Coffee Shokai is going to sell the coffee beans for 758 yen per 200 grams at their shop soon! Are you interested in calligraphy? Actually, I am not so much either writing or appreciating letters. But I like the atmosphere of its exhibitions. This might sound contradictory but calligraphy exhibitions have both energetic and calm airs. It was the end of last month when a friend of mine and I went to see the Mainichi Shodo Exhibition at Aichi Prefectural Museum of Art. My friend’s sister showed one of her calligraphies at the exhibition, too. 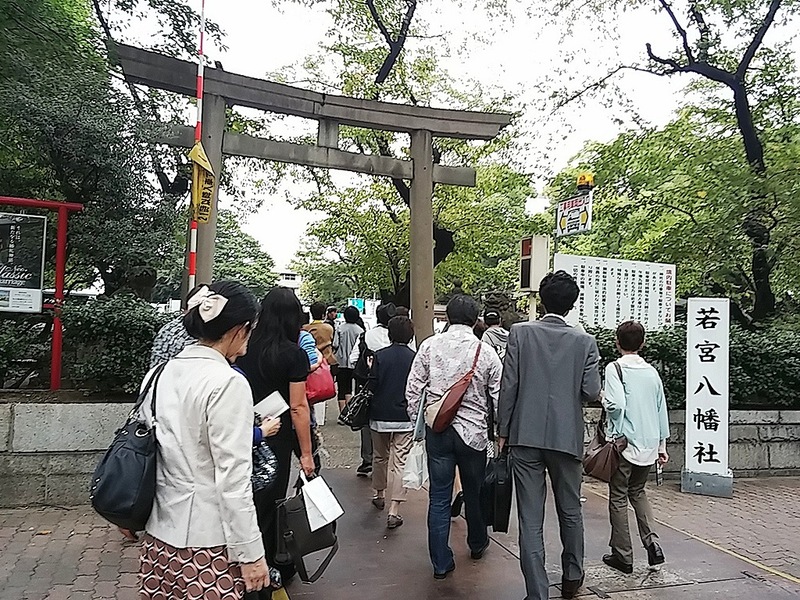 It was the 66th Mainichi Shodo Exhibition. They began in 1948 three years after the end of World War II. I think they decided, despite many difficulties to hold the exhibition in the chaos of the post-war period, when people were still struggling for their lives. They also struggled to hand over the torch of Japan’s calligraphy culture to the post-war generation. There are many kinds of calligraphy in Japan. In fact, the Mainichi Shodo Exhibition has nine categories: Chinese Character I (more than 21 letters), Chinese Character II (3 to 20 letters), Japanese kana Character I (more than 3 Japanese waka poems or more than 5 haiku poems), Japanese kana Character II (1 or 2 Japanese waka poems or 1 to 4 haiku poems), modern poetic calligraphy, large character calligraphy, seal engraving, wood carving, and avant-garde calligraphy (they are not “letters” anymore…) The exhibition had 8 rooms and more than 1200 works this year. 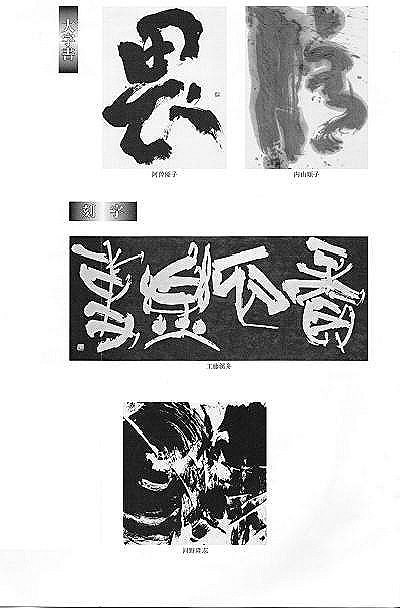 To tell the truth, I cannot understand them when I look at calligraphies. I cannot tell a big difference between one which has received a prize and another one which has not. They look almost the same for me as letters written in black ink on the white paper…So, I usually walk around the big exhibition place, looking up at calligraphies with my mouth open, and then get tired and become a zombie two hours later. But the situation was different this year. 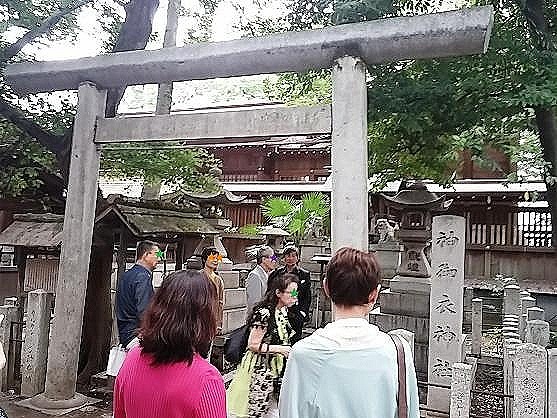 I joined a guided tour. Some judges picked up some exhibits and explained them. Especially, Mr. Tosen Sato’s lecture was interesting. According to him, the most important thing is to think about the composition carefully. In his case, it takes him nearly half a year to decide the structural outline for showing a work at an exhibition. Then he writes letters on the paper only two or three times. He said, “You don’t need to waste much paper,” and showed some classic works by an ancient calligrapher. There were many lines on the examples like engineering drawings. He studies many things, such as angles, from those classics. 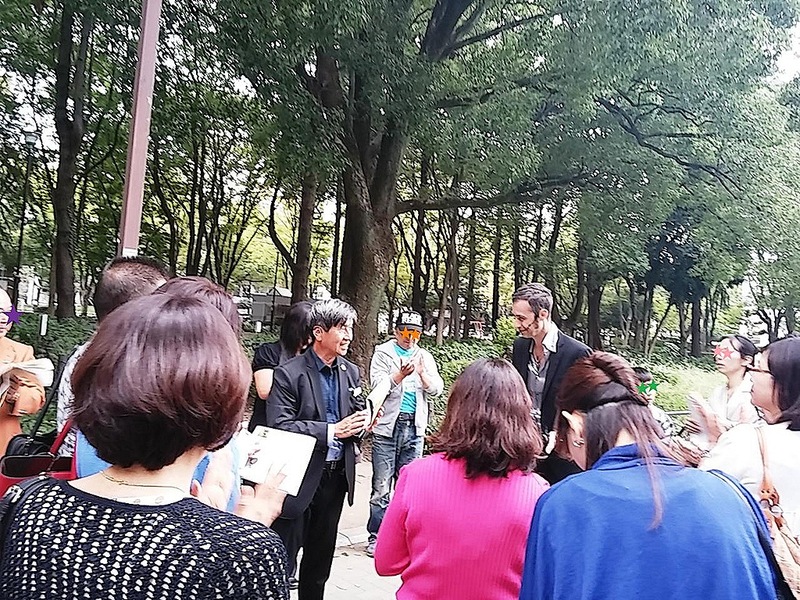 I was very surprised at his lecture because I had thought that they must have written letters from their hearts…It seems that you have to “calculate” to make something look beautiful…Some calligraphy works looked different after the guided tour! 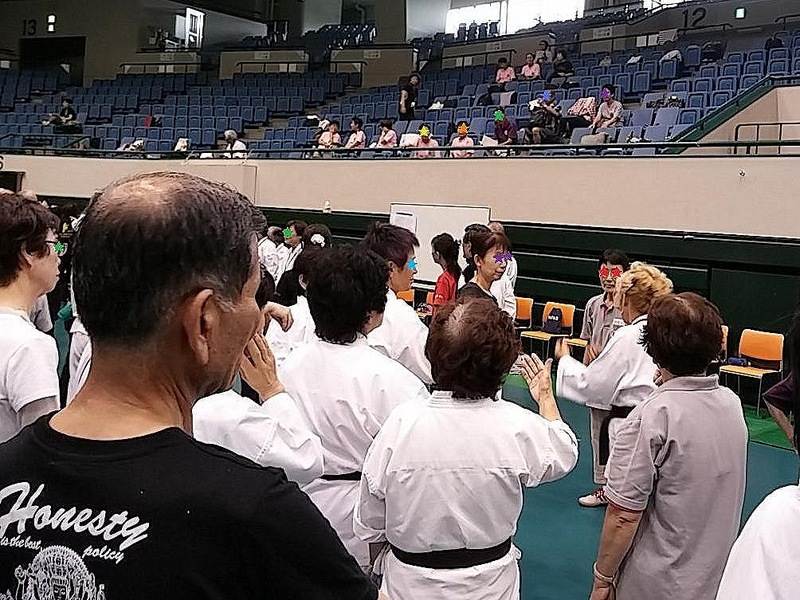 The Tai Chi Workshop: These 88-year-old ladies would be able to deflate their age to 70! 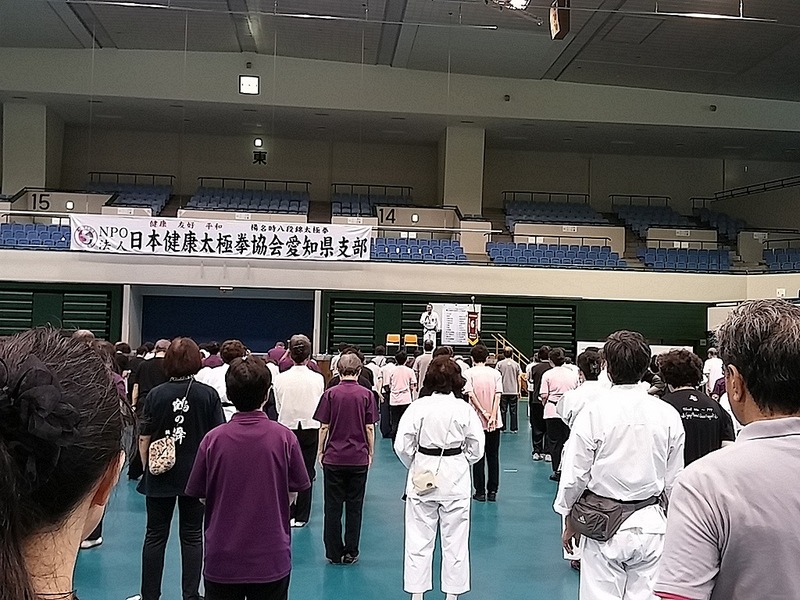 I attended a big meeting of Tai Chi during the Obon holidays. 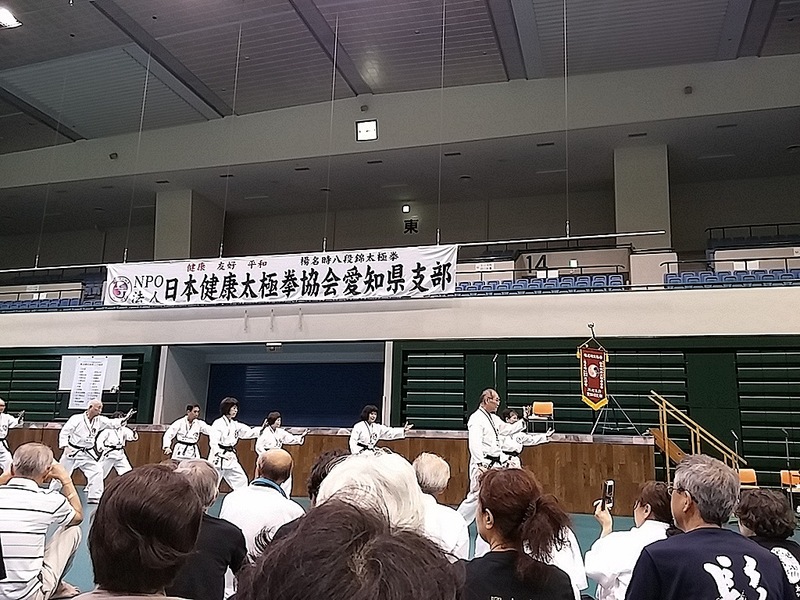 It was held at Aichi Prefectural Gymnasium on August 16. About 600 people gathered at the event and most of them were over the age of 65. The participants were divided into 10 groups and studied some actions of Tai Chi. I was able to study many things through the workshop. At the beginning of the event, there was a ceremony in which two 88-year-old ladies received the kotobuki prize. Kotobuki means offering congratulations or longevity in Japanese. The ceremony was to celebrate their 88th birthday. The age of 88 is special in Japan. 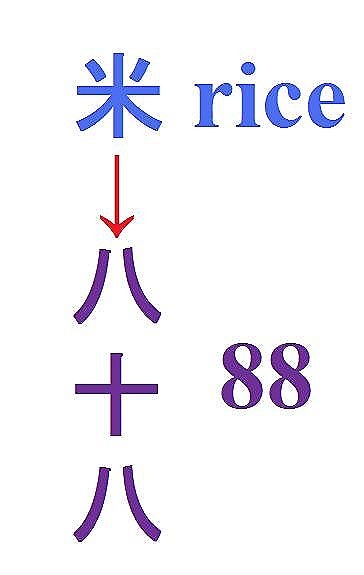 The Chinese character representing rice looks like the number 88 written in Chinese. You know, rice is the diet and the symbol of life in Japan. The recipients looked much younger than their real age of 88. Their posture and expressions were beautiful. They would be able to deflate their age to 70. As you know, Tai Chi is effective for improving the functions of your heart and lungs and muscular strength. If I keep on doing Tai Chi, I might turn 88 healthily like them. By the way, I used the word Obon above, but do you know it? Many people take a kind of summer vacation in mid-August in Japan. It is called Obon holidays. 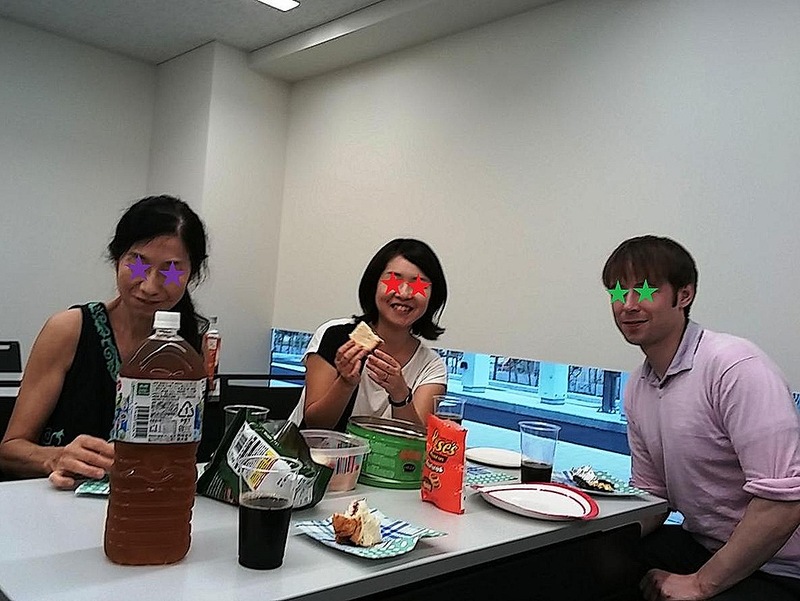 Obon is August 15 and most companies give their employees some holidays including the day. Obon is not a national holiday, but interestingly is dealt with as a holiday. That is why the public transportation schedule is Sunday’s one around the day and most public offices and hospitals are closed. This Obon day is believed by Japanese Buddhists to be the day that the spirits of the dead return to their family. So, basically Japanese people go back to their hometown and spend the holidays with their family including the ones who have already passed away. But young people have tended to spend the holidays for themselves not to meet their family recently. That is why many elderly people were able to attend the meeting…But they did not look sad at all. They looked energetic and were enjoying doing Tai Chi!